We think one of the best things about summer is spending a relaxing day at sea! 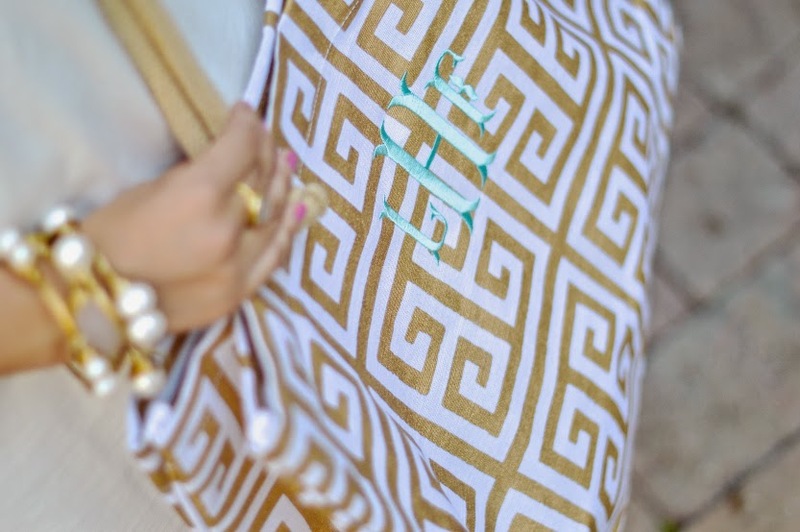 Here is a simple look that you can put together for your next trip to beach. Let us know what you think in the comments below and don't forget to follow us on Instagram @tinytulipmonograms for daily updates on new products, flash sales, and giveaways. 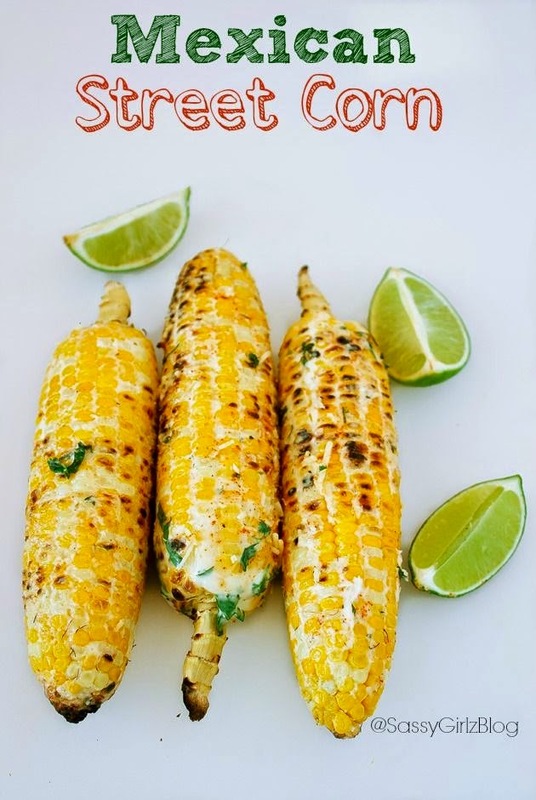 This weekend is Memorial Day weekend and we know many of you will be hosting and attending BBQs so here are our favorite Pinterest recipes! Enjoy! 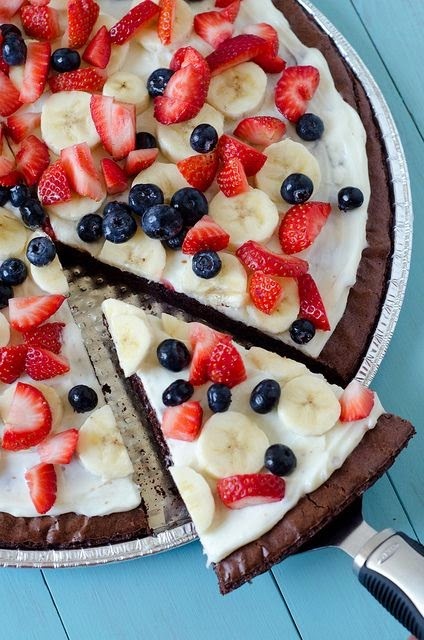 This brownie recipe looks adorable and delicious! This Mexican Street Corn recipe makes the perfect side at a BBQ! If you want a change from the typical hamburgers and hotdogs BBQ food, try making these Lemon and Dill Salmon skewers. 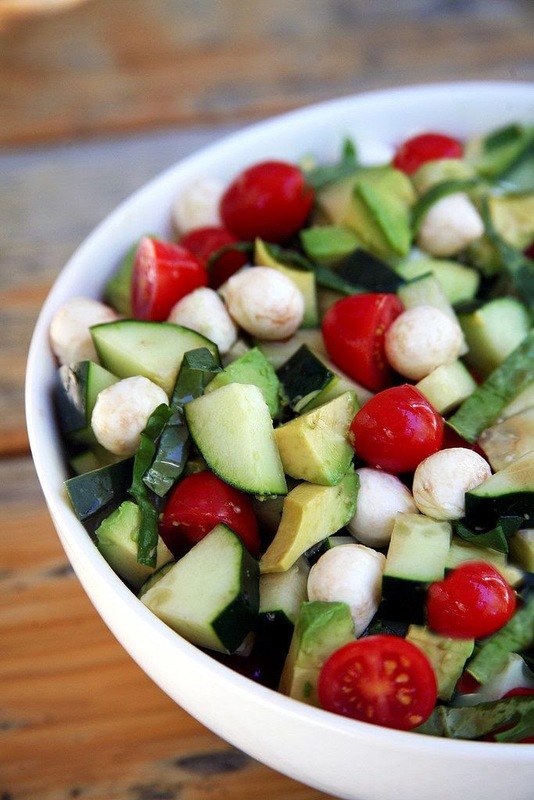 If you're looking for a healthier option, whip up this simple cucumber, avocado, tomato, and mozzarella salad. 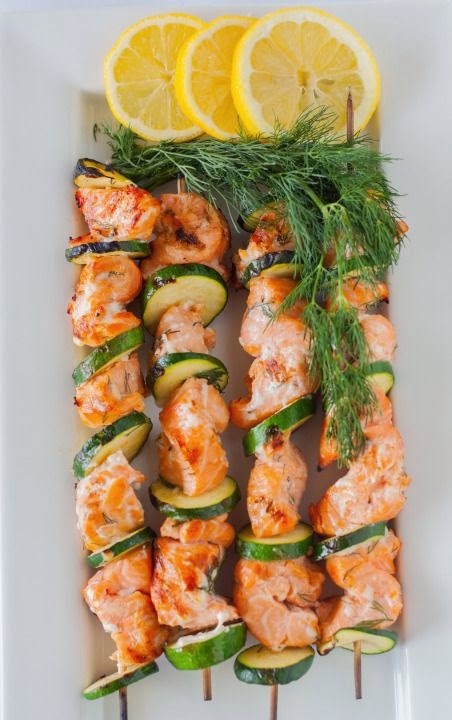 We've made this before and added shrimp and it was amazing! We really hope you enjoyed these recipes and have a great weekend! Happy Wednesday loves! Here’s a DIY project that will add a little sparkle to your week. Ta-Da! You’re done! and now you have a center piece that instantly lights up the room. We put ours over some fashion books on the coffee table but you can put this on your desk, bathroom, really anywhere! Enjoy! 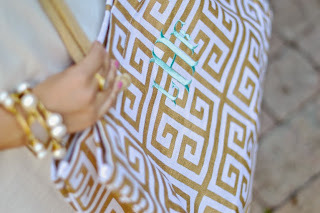 This week our Monogrammed Greek Key Chevron Tote was featured on the Peaches to Pearls fashion blog. 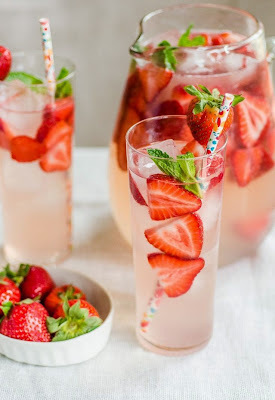 Luisa the owner of the blog did such a great job on the post that we wanted to share a few of our favorite pictures. 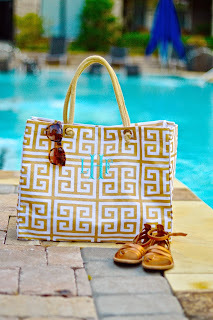 As Luisa said, this really is the perfect summer bag! You can bring it to the pool, beach, on a picnic, or just use it in everyday life. 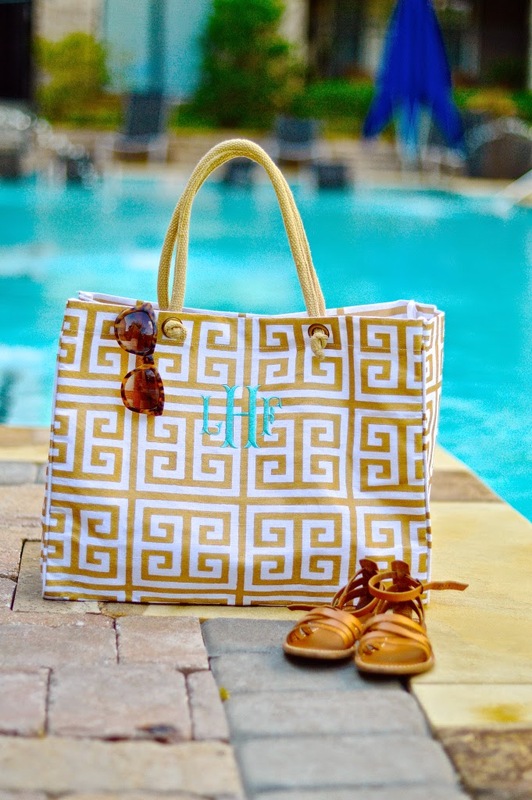 If you would like to order your own tote with the matching makeup bag please visit our website here, it is $55 and as always free shipping. Enjoy!